Atlanta National Country Club – golf homes for sale in Alpharetta – Atlanta National: golf homes, luxury real estate, gated swim tennis communities, new homes, and resale homes for sale in Atlanta National Country Club – Alpharetta. Atlanta National Country Club Alpharetta Georgia / Milton GA is located in the Crabapple area of North Fulton! Prestigious Atlanta National Country Club is a planned and established swim tennis golf country club community in Alpharetta Georgia ( now the new city of Milton GA). Large estate lots, golf course, and great recreation facilities in a fully gated country club setting! From the GA 400 north, Atlanta National Country Club subdivision is just a short country mile. Atlanta National Country Club has an impressive clubhouse, and award winning golf course, and swim tennis. Atlanta National Country Club has swim, exercise, and tennis located within the community, and nearby there are parks, baseball, soccer, play fields, and golf communities. The Atlanta National Golf and Country Club is conveniently located close to shopping, schools, and major roads. 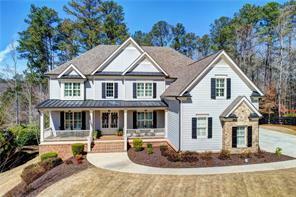 There are loads of great homes for sale in the Atlanta National Country Club community! 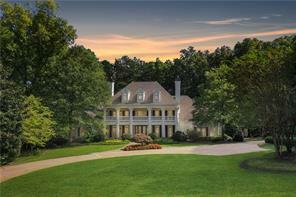 If you would like to buy or sell a home in Atlanta National Country Club with us, please feel free to contact us! Find a home in Atlanta National you like? Call Ellen Crawford CRS at (678) 595-5283 to view your dream home today. 1) 635 Glen National Drive, Milton, GA 30004, Fulton Co.
2) 325 Crooked Stick Dr, Milton, GA 30004-3443, Fulton Co.
4) 0 Crooked Stick Drive, Milton, GA 30004, Fulton Co.
5) 0 Crooked Stick Dr, Milton, GA 30004, Fulton Co.
6) 13955 Atlanta National Drive, Milton, GA 30004, Fulton Co.
7) 13955 Atlanta National Dr, Alpharetta, GA 30004, Fulton Co.